Biased article bashing the MEK in the Guardian raises outrage among the Iranian diaspora. 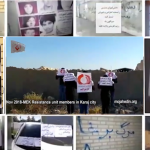 The piece is considered a reaction to the recent surge in protests and strikes in the country and a preparation for more terrorist activities against the main opposition, the MEK. Aaron Merat’s long-awaited hit piece was finally published in the Guardian on Friday. Under the headline ‘Terrorists, Cultists- or Champions of Iranian Democracy’, the piece pedaled the regime’s brand of lies and misinformation. It was a clear example of Tehran’s smear campaign against the People’s Mujahedin Organisation of Iran (MEK) that it has used to undermine the Iranian opposition and legitimize its use of violence against political dissidents. Even before the article’s publication, the MEK expressed its misgivings over its content. MEK spokesperson, Shahin Gobadi, wrote two letters to the editor of the Guardian in recent weeks. In the letters, he aired his concerns over Aaron Merat’s ability to conduct objective journalism on the MEK. Merat has close ties to the Iranian regime and its lobbyists. He worked for the Economist between 2011 and 2014, during which time he was an outspoken advocate for the regime. He has written previous articles with the explicit intention of demonizing the MEK and condemning the Iranian resistance. It came as little surprise then that his piece for the Guardian was no different. It was essentially a hit piece against the Iranian resistance group and was full of inaccuracies, falsehoods, and barely concealed attacks on the MEK. In his very definition of who the MEK are, Merat is incorrect. He described the organization as a “fringe Iranian revolutionary group”. The MEK is far from a “fringe” group. 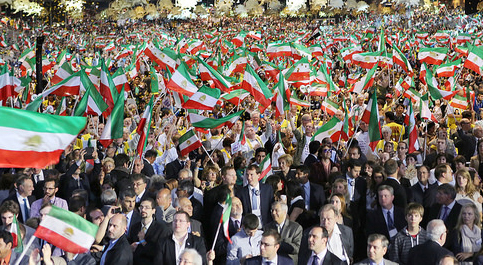 They are the oldest, largest, and most popular Iranian resistance group. The group organized nationwide protests in January and December which spread across every major city in Iran. At its annual Grand Gathering event, it draws an attendance of more than 100,000 supporters, including high-profile political figures such as former New York mayor Rudy Giuliani, and President Trump’s National Security Adviser, John Bolton. The resistance group enjoys widespread support inside Iran and abroad. Merat later seems to admit that the MEK does enjoy the support of international political figures but seeks to explain this by suggesting that the MEK pays “western political influencers fees to pen op-eds and give speeches”. This is untrue. Professor Raymond Tanter debunked this myth with the help of the US Treasury Department. The Treasury Department investigated the allegations that its political figures had received cash to write opinion pieces and give speeches at MEK-organised events, but found them to be “unsupported claims”. Merat’s piece begins by describing Mostafa and Robbie Mohammadi’s journey to Albania to “rescue their daughter”. Merat alleges that Ms. Somayeh Mohammadi, the couple’s daughter, is being held against her will by the MEK. These allegations are false. 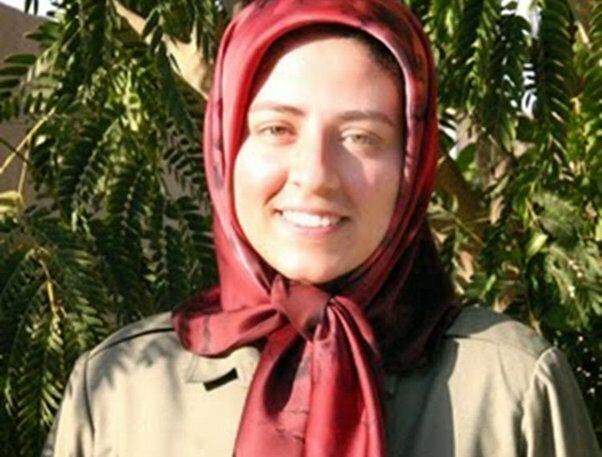 Ms. Somayeh Mohammadi joined the MEK in 1990 and has been a member for more than two decades. She has previously been interviewed by Canadian and US officials, and each time she has maintained that she is in Albania working for the MEK out of her own free will. She has previously written a book about the regime pedaling lies about her situation and using her case to legitimize terror attacks against the MEK. She even went as far as to write an open letter to Albania’s Minister for Internal Affairs, Fatmir Xhafaj, publicly calling for an end to his lies. The Guardian piece goes on to blame the MEK for the deaths of six Americans in Iran in the 1970s. However, subsequent investigations by both the US State Department and the Washington Post newspaper found this to be false. The 2005 State Department report clearly states, “a splinter organization with ties to Marxist groups in Cuba and Oman… appropriated and modified the MEK name and symbols, clashing with original MEK members, and killed Americans in Tehran”. The report describes that the individuals responsible for the murders were later caught, tried, and executed for the killings. Merat also attempts to blame the MEK for killing Iraqi Kurds in the North of Iraq. He claims Saddam Hussein used MEK members to quell the Kurdish armed resistance during the 1990 Gulf War. The Kurdish Democratic Party (KDP) provided a written statement in 1999 that unequivocally stated the MEK was not involved in the killing of the Kurdish people. The statement read “the KDP can confirm that the Mujahedin were not involved in suppressing the Kurdish people neither during the uprising nor in its aftermath”. Merat goes on to suggest that the MEK’s delisting as a terrorist group was not because the group was deemed mislabelled and was a non-violent organization, but because if the US didn’t delist them, the group would have been wiped out in Iraq. Once again, this claim is unfounded. The Appeals Court for the D.C. Circuit actually threatened to court order Hillary Clinton’s State Department unless she removed the group from the country’s terror list. Merat then furthers the regime’s interests by attempting to cast doubt over the regime’s terror activities in Europe. In June, European authorities foiled a plot to detonate a car laden with explosives at the MEK’s Grand Gathering in Paris. After a thorough investigation, Assadollah Assadi, an Iranian diplomat working at the regime’s embassy in Vienna was found to have orchestrated the plot. The French government froze the assets of the Iranian Ministry of Intelligence. Merat attempts to shift the blame away from the regime. He quotes the Iranian Foreign Minister directly in his piece, who called the allegations of the Iranian terror plot a “sinister false flag ploy”. If the plot was nothing more than a “false flag ploy” it seems unlikely that the French government would have taken such forceful actions against the Iranian regime. On top of seizing assets, the Emmanuel Macron’s government expelled an Iranian diplomat and is currently refusing to nominate a new French ambassador to Iran. France’s foreign ministry also confirmed that following its own investigation, it was in no doubt that the Iranian intelligence ministry was behind the June 30th terror plot. Aaron Merat’s piece goes on to spout all of the regime talking points against the MEK. However, his piece does provide some insight into why the regime spends so much time, money and effort on demonizing the MEK and its supporters. He wrote, “politicians openly called for bombing the Islamic republic, amid growing panic over Iran’s nuclear program- the existence of which had first been exposed by the MEK”. In this sentence, Merat demonstrates why the regime despises the MEK. It works tirelessly to bring the regime’s atrocities and illegal behavior to light. Merat writes that the MEK and its supporters around the world “openly call for the overthrow of the Islamic republic and the installation of Maryam Rajavi as the leader of Iran”. In this one aspect, Merat is correct. 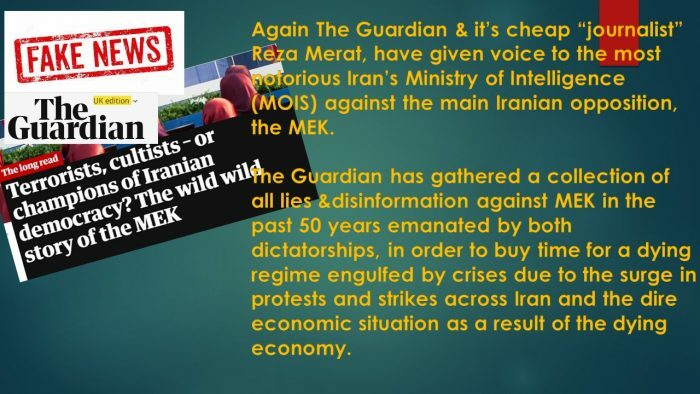 But in drawing this to attention, Merat is also drawing to attention why both he and the regime relentlessly pursue the MEK. The MEK represents the single greatest existential threat to the mullahs’ regime. It has orchestrated nationwide protests that have crippled Iranian regime’s key industries. Even regime officials have admitted publicly that the MEK is a direct threat to the regime. 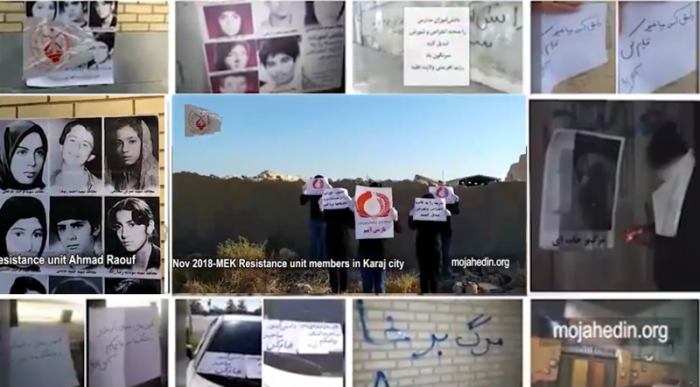 The MEK has resistance units working inside Iran, that mobilized in the nationwide uprisings in December and January of this year. 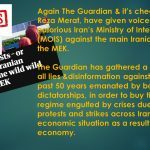 This has the Iranian regime terrified and explains why they use mouthpieces like Aaron Merat to undermine and demonize the MEK in international media outlets. The piece in the Guardian is little more than the mullahs lashing out at the MEK out of fear. The MEK is gathering momentum. Strikes and protests are now a daily occurrence in Iran and the mullahs future in power is growing more uncertain by the day. The fact is, regime change is on the horizon. When it comes, the world will look at Merat’s piece, and others like it and wonder how they got away with such blatant lies and deceit. 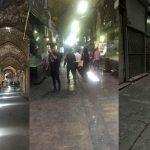 For the second day, the merchants in various bazaars in Iran are on strike over the plunging rial and the dire economic crisis due to the regime corruption and mismanagement. Tehran’s merchants are striking, as are the Iranian farmers and truck drivers as yet more protests threaten to engulf the country, based on reports from the MEK network inside Iran. 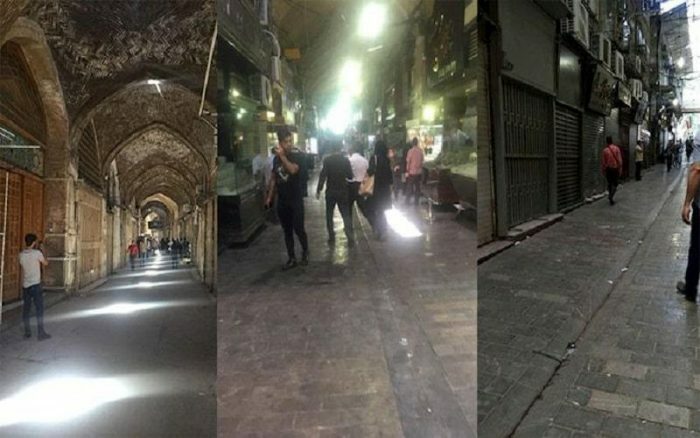 On Monday, November 5th, merchants in several Iranian cities closed their stalls in local bazaars. The strikes, which coincided with the reintroduction of strict US sanctions, were organized across social media and quickly gained traction. Skyrocketing prices and crippling inflation have thrown many of Iran’s merchants into poverty. With new sanctions affecting Iranian imports and exports, the situation is set to worsen. For the nation’s truck drivers, the working conditions are not much better. The sector shut down for the fourth time on the 31st of October and is yet to restart. Drivers from Tehran, Isfahan, Hormozgan, Zanjan, Golestan, Kermanshah, Kerman, West Azerbaijan, Central, Khorasan Razavi, and Yazd all turned off their engines in protest at the rising cost of spare parts, corruption, and appalling working conditions that have left many of them in a fight for their survival. For Iran’s farmers, there is a similar picture of abstract poverty and a struggle to put food on the table. This has prompted many brave farmers from provinces across the country, including Isfahan a Khorasgan, to stage a sit-in and protest. The strikers are demonstrating their bravery and determination by maintaining these protests against the bloody and violent regime. For the truck drivers, many of their colleagues and friends were arrested in the previous rounds of strikes. More than 200 drivers were detained in the third round of strikes that took place earlier this year. The regime then threatened to execute 17 of those detained. The strikers that took to the streets in this latest round of protests are also demanding the immediate release of their colleagues. The regime’s treatment of the truck drivers has not been atypical. The mullahs frequently employ repressive and heavy-handed strategies for dealing with public protest and political dissent. The farmers and merchants, along with the valiant truck drivers, are aware of the danger they are in, yet they continue to risk their liberty and their lives to protest the regime and its policies. Their determination has not gone unnoticed by the People’s Mujahedin Organisation of Iran (MEK) and the President-elect of the Iranian resistance, Maryam Rajavi. Ms. Rajavi saluted the striking truck drivers, farmers, and merchants in a statement to the Iranian people. She called on Iran’s youth to stand with these brave men and women and said that supporting the full restitution of the rights of the Iranian people was a matter of patriotic duty. Maryam Rajavi also called on the international community to lend their support. She urged syndicates, trade unions, and human rights organizations to lend assistance to Iran’s farmers, truck drivers and merchants in whatever capacity they could. Mohammad Ali Jafari made an unexpected and historic confession. 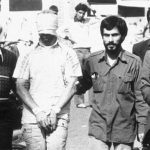 The Revolutionary Guards (IRGC) commander admitted on November 4th, that the decision to take more than 60 US hostages from the US embassy in Tehran in 1979 had been approved by Khamenei himself. Jafari’s remarks came as he spoke at an event to mark the anniversary of the crisis, which took place on November 4th, 1979. 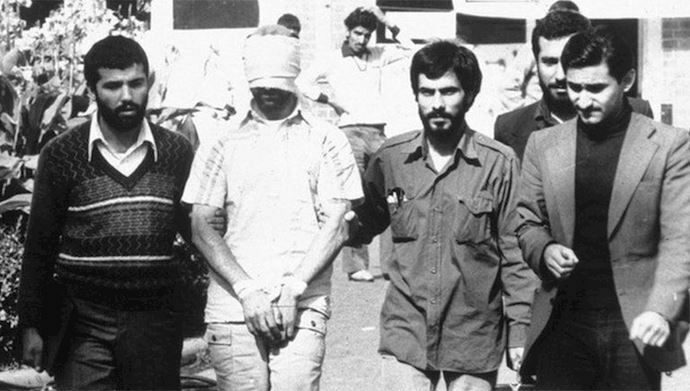 The hostages were taken when a crowd of Iranian students stormed the US embassy and took more than 60 Americans hostage over US President Jimmy Carter’s decision to allow the recently ousted Shah to travel to the US for cancer treatment. Beyond the Shah’s cancer treatment, the hostage crisis was a protest against Western governmental inference in Iran. The students held the hostages for 444 days, only releasing them on January 21, 1981, after President Reagan had replaced Jimmy Carter. The statement by the National Council of Resistance of Iran (NCRI) says “Only a handful of the officials and revolutionary figures, and on top of them, the supreme leader, (Khamenei), were totally in support of this revolutionary move,” and if the hostage-taking had not taken place, “undoubtedly our revolution could not last for forty years and it would have been over in the first decade,” Jafari added. At the time, the attack on the embassy was depicted as spontaneous and opportunistic and the perpetrators merely overzealous students. However, Jafari indicated that this was not the case. Jafari went on to suggest that without the events of November 4th, 1979, the Iranian regime would not have been able to cement its grip on power, and the regime would never have lasted until today. He said if it wasn’t for the hostage situation, “undoubtedly our revolution could not last for forty years… it would have been over in the first decade”. Jafari’s comments are a cause for concern. He concluded his speech by implying that Iran would benefit from a similar high-profile situation like the 1979 hostage crisis. He said, “similar moves, of course not taking over embassies, this is not what I mean, but this sort of moves, should be conducted for creating stability”. Jafari’s comments only further illustrate concerns long-held by the People’s Mujahedin Organisation of Iran (MEK), the Iranian opposition; that the regime relies on sewing destruction and violence to stay in power. New round of Strikes by merchants in Iran, as the Second major U.S. Sanctions take place. Bazaar merchants in Iran went on strike on Monday in several cities. The strikes were timed to take place on the day that the final phase of U.S. sanctions took effect. The planned strike took place after a call to action on social media. The bazaar merchants went on strike to protest skyrocketing prices and inflation. 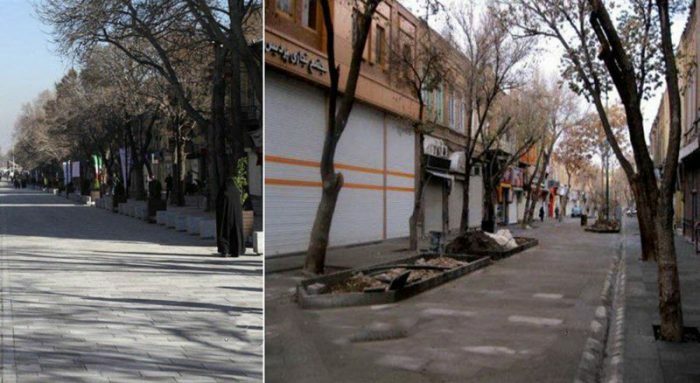 The MEK network posted images on social media of closed shops in Tabriz in northwest Iran and Mashhad in northeast Iran. A video posted by the MEK shows that striking merchants have closed shops in Tehran’s rug market despite threats from authorities. Owners of home appliance stores in Tehran were also on strike. 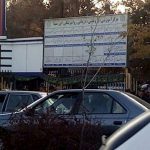 In Babol in northern Iran, merchants in the Rezvanshahr market were on strike. 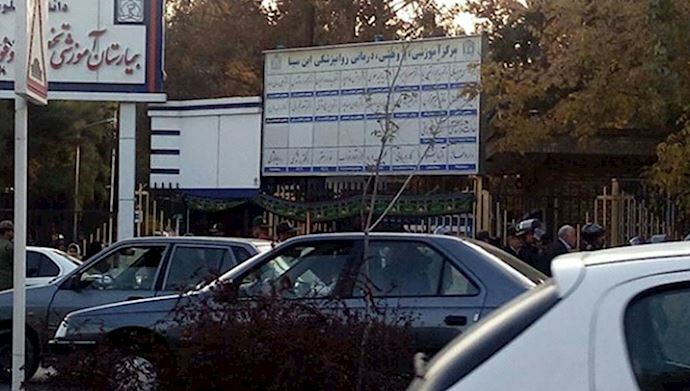 In Gorgan in northern Iran, all of the shops were closed in the Aftab Mall, which is the largest mall in the city. 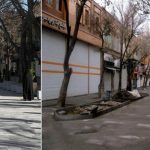 Merchants in Tabriz in northeastern Iran also closed their shops and went on strike. Sources indicate that the strikes had now spread to Roudsar in northern Iran and Saqez and Baneh in western Iran. The merchants went on strike last on October 8th. That round of strikes spread to over 50 cities in 21 provinces. Meanwhile, the fourth round of nationwide truck drivers’ strikes reached its sixth day on Tuesday. The most recent round of strikes began on November 1st after a call went out on social media urging the drivers to park their truck and strike. The truckers are protesting low pay and high prices for spare parts and replacement tires. They are also demanding the release of their colleagues who were arrested during the last round of strikes. 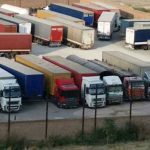 The MEK shared a number of videos of trucks parked in loading terminals as truckers joined the strike and refused to load cargo. The state-run ILNA news agency reported on the strike on November 4th, writing: “Lack of truck tires, the emergence of the black market and dealers, and price instability have been some of the problems that the automotive market has faced in recent months. and the Teamsters, who both wrote statements supporting the truck drivers and condemning the regime’s actions. On Monday, November 5th, the Washington Times ran a piece entitled “’Iran Doubles Down on Terror, Turmoil’ Against the West”. The piece, written by L. Todd Wood, highlighted the mounting danger the clerical regime poses to Western governments and their citizens. Following the press conference held by the National Council of Resistance of Iran (NCRI), the Iranian political opposition coalition which includes the People’s Mujahedin Organisation of Iran (MEK), on Friday, the international community has been buzzing with discussion over the increasing threat of the clerical regime. Governments from across Europe and North America have turned their attention to the mullahs following the Danish government’s revelations in late October that it had foiled an Iranian state-sponsored plot to abduct and murder a dissident on its soil. Wood writes, “many Americans are not aware of the extensive attempts at the violence that have happened in the recent past in the United States and Europe”, referring to the two Iranian regime agents arrested on US soil this summer and numerous foiled terror attacks in Europe. “Americans must become cognizant of the danger”, Wood urged. He argued this was essential for the neutralization of the Iranian threat. “Iran is the most significant existential threat currently facing America”, he wrote. With the public’s blessing, US politicians must face this threat in a forceful manner. In its press conference, the MEK and NCRI, outlined several strategies for confronting the regime’s international terror network. Alireza Jafarzedah, a spokesperson for the Iranian opposition group, told those in attendance in Washington D.C. that European and US governments must close Iranian embassies on their soil and expel Iranian diplomats. 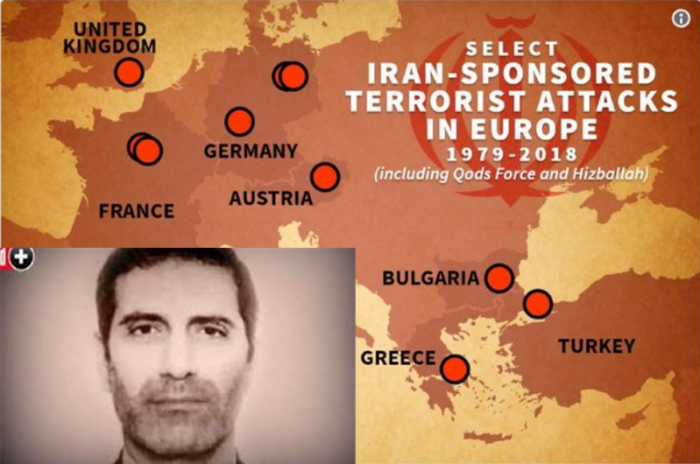 The Iranian regime’s planned terror attacks in Europe, including a failed car bomb attack planned in Paris, have demonstrated that Iranian embassies are thinly veiled hubs of international terror and espionage. 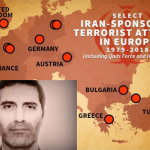 In the failed Paris attack, Assadollah Assadi, an Iranian diplomat working at the Iranian embassy in Vienna, provided a Belgian-Iranian couple with the explosive material for use in the attack. Jafarzedah called for an internationally coordinated and unified response to tackle the growing threat from Iran. In his mind, this means internationally coordinated and enforced sanctions aimed at crippling the Iranian regime’s exports and finances. As the latest round of US sanctions takes effect, their impact remains to be seen. Several European governments remain determined to salvage the Iranian nuclear deal and have expressed their opposition to US sanctions. This division will not stand. The regime’s recent spate of planned attacks has demonstrated that the regime has little regard for international law, the sovereignty of international governments, and the safety of their citizens. Without a unified response from both Europe and the US, the regime can bypass sanctions and continue to orchestrate plots unimpeded. If one of these plots slips through the net and comes to fruition, the loss of life will be devastating, tragic, and utterly avoidable had the international community come together to neutralize the Iranian threat once and for all. On Saturday, November 3rd, Iran Human Rights Monitor published its monthly report of human rights violations taking place across Iran. The report showcased the regime’s “dismal report card”, which featured 22 executions, among them a woman executed for a crime she allegedly committed aged 17. Iran Human Rights Monitor’s report indicated that the regime has continued its crackdown on the Ahvazi Arab population in Khuzestan province. Regime agents made numerous arrests in the month of October. 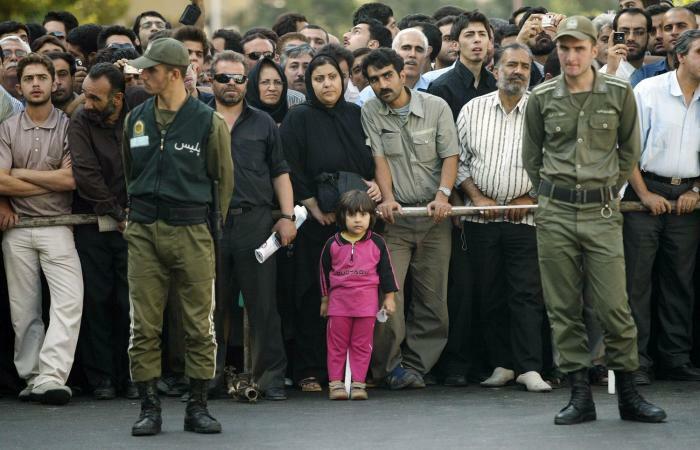 Reports from MEK network inside Iran indicate that women and children were among those arrested. 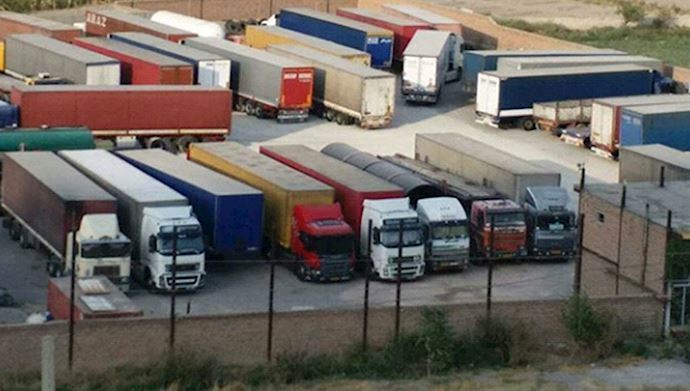 Following October’s truck drivers’ strike, the regime arrested large numbers of protesting truck drivers across Iran’s provinces. The nation’s environmental activists have also been the target of a sustained and bloody crackdown. In October, eight prominent activists were detained on charges of “sowing corruption on earth”. If convicted, the eight could face execution. The regime has also targeted activists in more nefarious ways. Farshid Hakki was murdered near his home on October 17th. 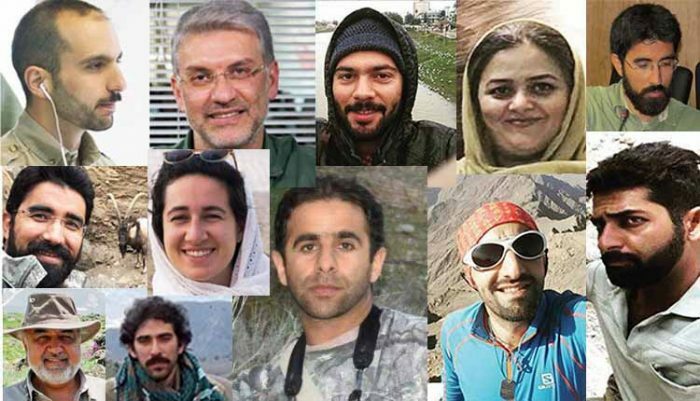 Iran Human Rights Monitor called on the Iranian regime to release the activists unless it can “produce evidence to justify the charges against them and guarantee a fair trial”. The regime executed 22 Iranians in October. One of the most alarming cases was that of Zeinab Sekaanvand. She was hanged in Urmieh central prison in West Azerbaijan province for murdering her husband. Sekaanvand was forced to marry her abusive husband aged just 15. She killed him in 2012, at aged 17. She was detained and tortured into providing a full confession. On October 2nd, she was hanged for her crime, aged 24. Sekaanvand sought help several times from the authorities after her husband became violent. She also asserted that her brother-in-law had repeatedly raped her. Luther said, “instead of investigating these allegations… the authorities consistently ignored her and failed to provide her with any support as a victim of domestic and sexual violence”. 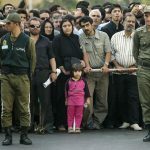 In October, Iran Human Rights Monitor recorded 60 cases of flogging, including 15 workers at the HEPCO manufacturing company who received lashing sentences and jail time for striking over their unpaid wages. Among the 15 were labour representatives engaged in negotiations with their employers. A graduate student named Pedram Pazireh received 74 lashings and a 7-year prison sentence for organising a ceremony to mark the country’s National Student Day. A court in Arak also handed out lashings to 11 people arrested during the December and January protests. They faced a litany of charges including “disrupting the public order and peace by taking part in illegal rallies”. Iran Human Rights Monitor recorded 543 politically motivated arrests across Iran in the month of October. There were also 11 arrests made on the religious and ethnic basis. Many of these ethnic arrests were made against the Ahwazi Arab minority in Khuzestan following the attack on a military parade in Ahvaz. Amnesty International questioned the timing of the arrests and accused the regime of using the attack as an excuse to repress the Ahwazi population. The regime also abducted and imprisoned Hashem Khastar, a leading advocate for teachers’ rights. Khastar disappeared from his family’s farm in north-eastern Iran. He was taken to a psychiatric hospital in Mashad, despite having no history of mental illness. His family has not been permitted to see him. Khastar was not the only teachers’ advocate to face the regime’s repression. Four teachers were also arrested over their participation in a two-day sit-in protest. The head of the Iranian Teachers’ Trade Association (ITTA) secretariat, Mohammad Reza Ramezanzadeh, was also arrested following the protest. 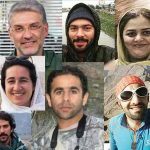 Several other ITTA members were also arrested in Mashhad and Aligoudarz. Teachers across several Iranian cities were protesting poor living and working conditions. Iran Human Rights Monitor reported over 70 political prisoners went on hunger strike at Urmia prison following a brutal attack on inmates from the prison’s guards. Prison guards beat inmates in ward 12, the ward which houses the regime’s political prisoners. Elsewhere, prisoners who have been on hunger strike are suffering deteriorating health. Farhad Meysami went on hunger strike on August 1st. The women’s rights defender detained in Evin Prison has reportedly lost 18 kilograms despite being force-fed intravenously. Prisoners housed in the women’s section of Evin Prison were denied their visiting rights. Three female political prisoners, Golrokh Iraee, Atena Daemi, and Maryam Akbari Monfared were unable to receive visitors for three weeks. The regime agents reported that the visitation rights were withheld following a verbal altercation between the women and several prison guards. The women allegedly chanted protest slogans in the visitation hall. The report shines further light on the appalling conduct and behavior of the regime’s agents. It underscores the extent that the regime is carrying out a systematic and brutal campaign of repression against the Iranian population.